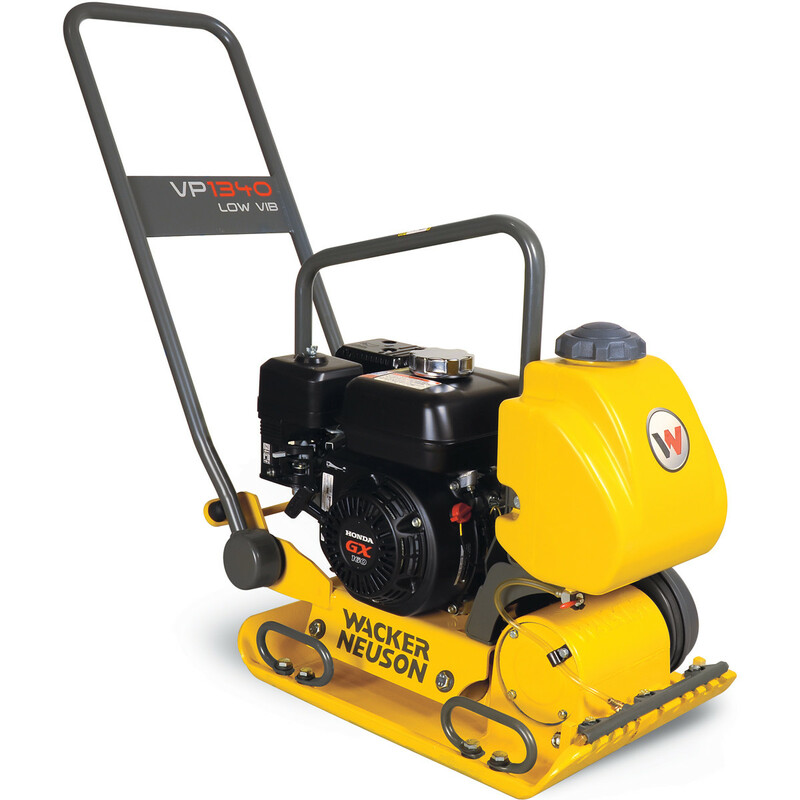 The Wacker Neuson BS60-2i Rammer is powered by Wacker Neuson’s exclusive WM 80 engine has a separate oil injection system. This rammer is specifically designed for tough rammer applications and meets all EPA emission standards. 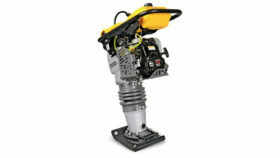 WACKER’s exclusive WM 80 engine features a unique patented oil-injection system that provides reliable performance by eliminating spark plug fouling and carbon buildup. 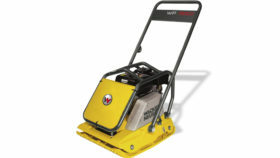 The no-mix system is an added convenience for operators. Plus an amazing fuel to oil ratio of 120:1 allows for longer and cleaner running times up to 65 hours on a single tank of oil. 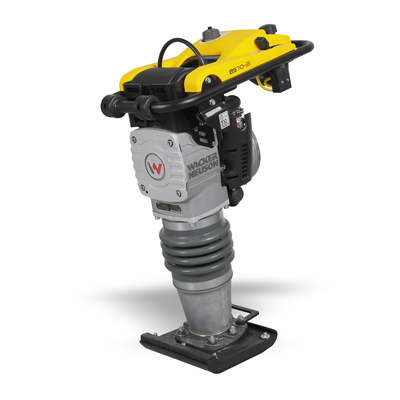 A low oil shutdown switch prevents running the rammer without oil for trouble-free operation..
Powered by WACKER’s exclusive WM 80 engine, the only 2-cycle engine specifically designed and built for vibratory rammers and meets EPA and European air emission standards. Patent-pending vented carburetor evacuates air from the fuel line for easy starting. An integrated fuel valve and gas lever also provide for simple operation and easy starting by eliminating air in the fuel line. A filter minder tells the operator when the air filter needs to be changed. The guide handle offers a highly engineered, built-in shockmount system to reduce HAV (hand-arm vibration) and improve operator comfort. Rugged rammers designed for the compaction of cohesive, mixed and granular soils in confined areas. Protecting the environment and the operator. Advanced oil-injection system offer these innovative advantages, plus the performance of two-cycle technology. length 26.5 in. 26.5 in. 26.5 in. Depth 20 in. 23 in. 24 in. WxL 11 in. x 13 in. 11 in. x 13 in. 11 in. x 13 in.